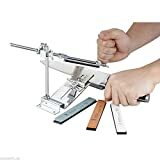 Although there are many different styles of knives, from the everyday chef’s knife, to a bear claw Karambit, we are all used to them being designed using similar principles and materials; i.e a piece of steel with a sharp edge attached to a handle. However, in this article we will explore some alternative tools that are still classed as knives, but go about their business in a different way altogether. First up is the Injector Knife from WASP. 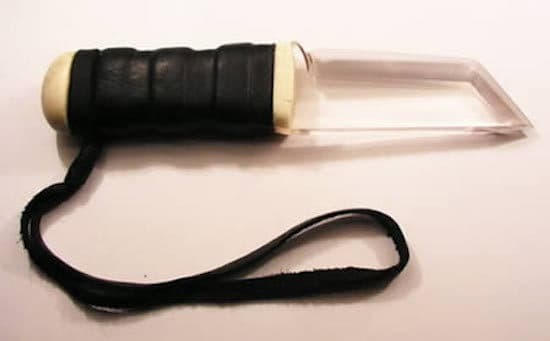 This rather vicious sounding tool is used just like any other combat knife, however, upon penetration it forces a massive charge of freezing compressed air into the stab wound. WASP state in their marketing material that the victims tissue will instantly freeze. This combined with the shock is enough to keep even the largest land animals at bay. Underwater, the knife is even more effective. The gas is released via a small thumb button within the handle. Expelled at around 850psi of pressure, the damage inflicted when used on a marine predator is actually rather gruesome. Not only is the gas capable of snap-freezing all tissue and organs in the area surrounding the blast, the large injection of air causes the recipient to float upwards. As the victim rises the atmospheric pressure decreases, meaning that the ball of air rapidly expands within the body with catastrophic consequences. Not the most humane way of disposing of a predator. The WASP Injector Knife system is currently available to buy through the WASP website for US$499. However, if you’re after a less brutal dive knife you can head to our top 5 round up here. Another knife that uses pressurised air with significantly more agreeable results is a tool developed by the media conglomerate, Verizon. Clearly tired of the fallout (and ensuing repair damages) due to cable engineers cutting through water and gas pipes while laying new lines, the company now uses something entirely different. The Verizon knife utilises air pressure to slice through lawns so that the engineers can lay the fibre optic cables without causing any unwanted damage. The tool is able to cut through the grass, but does not break sprinkler pipes and gas lines. A device that has quietly revolutionised the communication infrastructure of modern America. Designer Matthias Kaeding is the man behind our next strange knife incarnation. Clearly inspired by our ancient past, Keading has developed a series of ceramic knives that mimic those you might have found in a cave during the Stone Age. Very practical? Who knows, aesthetically striking? Definitely. Whether you would pay top dollar for one of these and take it camping is really a moot point. It wouldn’t double up as a particularly good paring knife either. 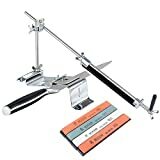 The fact is, tools like this did help our ancestors cut and slice meat for millennia. Long before the invention of the meat cleaver a hunk of obsidian or flint were extremely sharp tools for early humans. 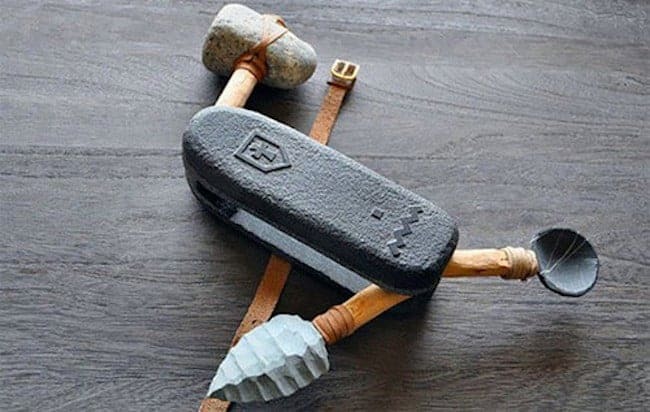 After all, the reason so many of the original tools from the Stone Age survive today is a testament to their strength and durability. From the Stone Age, to the world of the laser. Here we have a kitchen knife that harnesses our understanding of the quantum world in order to slice through a piece of meat, (at least the end purpose hasn’t changed over the intervening epochs). 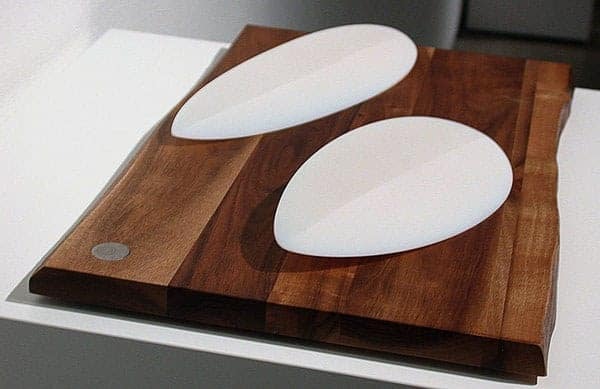 In 2012, A Russian graduate named Andrey Kokorin entered the annual James Dyson Award, with a laser food cutting design that used electro-magnets to slice through ingredients. His aim was to completely redesign the way we prepare our food. By moving away from the unsanitary and unsafe use of kitchen knives, to the fast, clean, time-saving approach offered by a laser, not only was Kokorin hoping to revolutionize the chefs knife as we know it, he would have made the idea of knocking up a meal a whole lot more fun in the process. Clearly an engineer rather than a marketing expert, Kokorin named his device the “Innovative Laser Device For Cutting Of Foodstuff”. The object itself looks a little like the sleek white helmet of a robot, with a glass food bowl hidden under a visor that swings open and closed. To operate, the user lifts the lid, places the ingredient into the two-litre bowl, swings it shut and punches a few buttons on the menu screen. This itself is simple enough to use. Three selection dials indicate food type (meat, fruit, vegetables etc), cutting method (normal, spiral, cubes or even simple images) and slicing thickness. Using motion sensors and electromagnetic scans, the device analysis the food inside the bowl, along with the parameters the user has selected, and then guides the laser according to a set algorithm that uses the food shape, mass and cutting method to achieve the perfect slice. 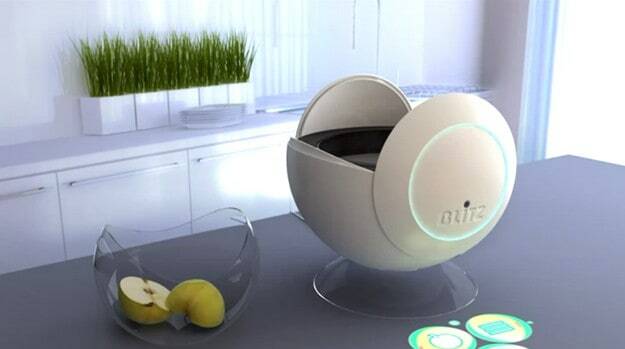 The designer stated that the laser could even be used to debone and clean food, core apples or even pry the shell from your boiled eggs. Why this exciting device has not yet made it to market is anyone’s guess. Another Russian entry into our top 5 strange knife designs are these terrorist friendly sapphire knives. Completely undetectable via any sort of metal detector, you could strap one of these to your nether regions and waltz through airport security with a great big, cocky smile on your face, (unless they requested the strip search of course). With blades made from artificial sapphire, these knives have no metal parts at all. The handles are made from animal bone. Only diamonds exceed the hardness of these blades. Carry one of these on to the plane, and you can carve your name into the seat in front, or use it for other more untoward purposes to carve your name into the pages of history. The choice is unfortunately yours, and whoever else may get their hands on one.